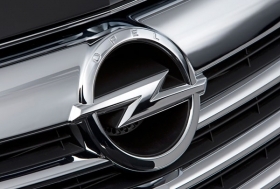 Tensions are high between Opel's union and management over planned restructuring. MUNICH -- Opel's top union leader, Klaus Franz, criticized the appointment of a German politician as the carmaker's chief lobbyist. Opel CEO Nick Reilly named Volker Hoff as vice president of government affairs for Opel on Jan. 26. Hoff will have a key role as the General Motors Co. unit seeks 2.7 billion euros in loans or loan guarantees from European countries where Opel and British sister brand Vauxhall have factories, including Germany, Spain and the UK. Franz, who is vice chairman of Opel's supervisory board, said Reilly had acted “high-handed” in not consulting senior labor representatives about Hoff's appointment. His criticism heightened tension between Reilly and unions which is already high after the CEO said Opel's factory in Antwerp will close later this year as part of a restructuring plan to bring the money-losing carmaker back into profit. Hoff's role will be to help Opel win state aid. Hoff has been a member of parliament in the German state of Hesse since 1991. Opel's headquarters are in Hesse in Russelsheim, near Frankfurt. Between 2006 and 2009, he was a minister in the Hesse state government. Hoff replaces Tayce Wakefield, a Canadian, who has elected to retire from GM after a 25-year career with GM in Canada, the United States and Europe.